Outstanding Actor / Singer who deserves the very best of recognition for his performances on the silver screen! Every year I like to take this time to thank everyone for their faithfulness and support not only to this website but to the young artists who are represented here. Like last year many new artists were introduced here for the first time which now brings this site close to 150 young artists who have been featured here at one time or another since September 2009. While many continue to come back year after year some have moved on to even bigger and better things and have already outgrown this website. Some have been signed to producers and new management and working on new CD projects in amazing recording studios with professional backing and support. For those who have moved on to the next step in their musical career we salute you and offer our greatest wish for good success in the coming year. For those who continue on as an Indi Artist or are still progressing and polishing your talent, we praise you for your effort and sacrifice and offer you our continued support and encouragement. That being said, we thought it might be fun to bring you just a few interesting things about the site that we only share at this time of the year. The Louvre Museum has 8.5 million visitors per year. Rivenmaster’s Place had over 70,000 visitors in 2014. If it were an exhibit at the Louvre Museum, it would take about 3 days for that many people to see it. The busiest day of the year was January 17th with 671 views. 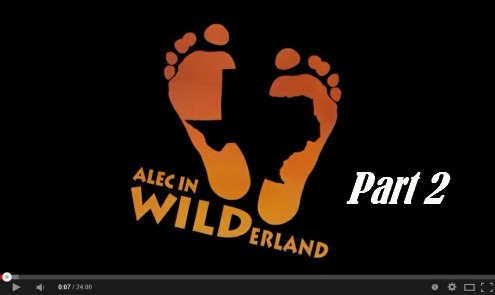 The most popular post that day was Alec in WILDerland – Trust Your Wild Side. This year readers came from 174 different countries with the most visitors comign from The United States, with Germany & U.K. not far behind. While every article and new young artist that is introduced here has merit I think we need to pay our respect to these young artists who have captured the largest number of fan visits, reads, and shares in 2014. Alec J Fischer continues to be one of the brightest and best young videographers and youngest film/TV show producers I have ever met. His latest “Alec in WILDerland” full feature YouTube segments were both enlightening and educational and I can’t tell you how much I have learned from watching his shows. I salute you Alec for not only taking the First Place Award, but for your endurance, strength, creativity, stamina, and courage to do something nobody your age has ever done before. You are a true artist and champion! Uriah Shelton while never actually having his own personal feature article here was featured in a film review I did for his roll as Henry Matthews in the Feature Film entitled “Lifted”. While this film actually dates his career back to 2010 when he was but 13 years of age his singing and personality was captured in such a way with this movie that fans will just not let it go! Uriah continues to prove his singing ability and has release a few music videos on YouTube and has been very active with his Television acting career. 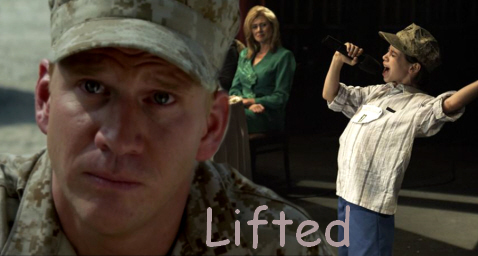 He did 26 episodes as “Jeff Cargill” in A&E’s “The Glades“, in addition to other television performances. He is currently playing the roll of Joshua Matthews on Disney’s “Girl Meets World” and as Josh on Wig’s “Blue” which will be moving from YouTube to Wigs own website and also be aired on Hulu and Fox.com. 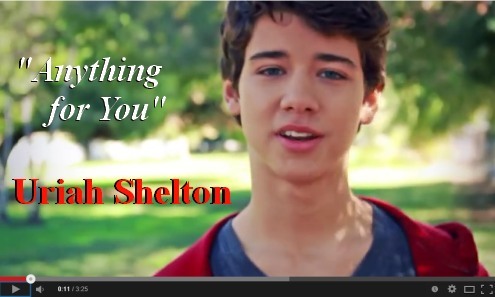 Here are his two latest Original Hit music videos from his YouTube Channel. 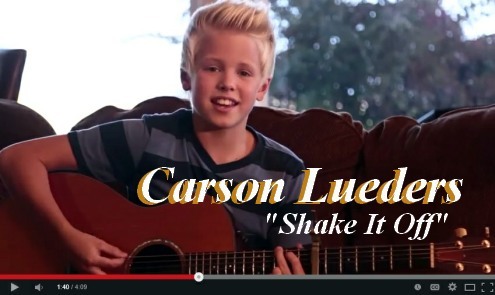 Carson Lueders had only just begun his musical career when he first appeared here on Rivenmaster’s Place. Since that time he has grown exponentially both physically and as a music pop idol. 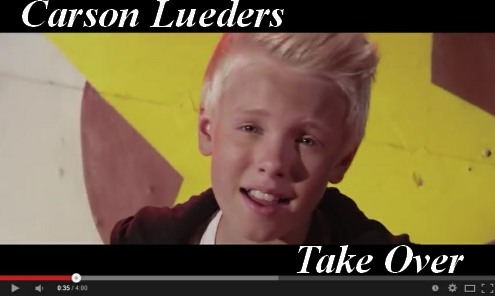 This site is accustomed to having young aspiring actors and singers move on to bigger things, but Carson Lueders exploded onto the scene and now has Millions of fans from all over the world! You could say he is one of, if not the hottest young YouTube artists to break out this past year. 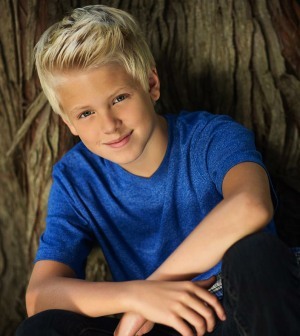 Carson has been walking red carpets, making appearances in Teen Magazines, and hanging with some of the most popular young singers currently in the business. In fact. this past year I have not even been able to pin him or his new management down for an article. Regardless of that, over the past two years, Carson has brought more views and readers to this site than any other single young artist featured here. CONGRATULATIONS CARSON! Abraham Mateo first appeared here on Rivenmaster’s Place nearly 3 years ago but still continues to pull in a great following of readers and fans. 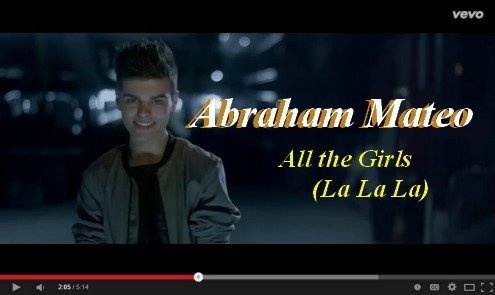 Abraham now 16 years old is the hottest young artist on Sony Music Spain. Abraham still holds the record for the number of visits for a debut article here which exceeded 900 views in one day. We have not enjoyed that kind of traffic since, although Daves Highway came in a close second with over 600. Abraham’s looks and vocal talent has elevated him to a level of world stardom that is not enjoyed by everyone. 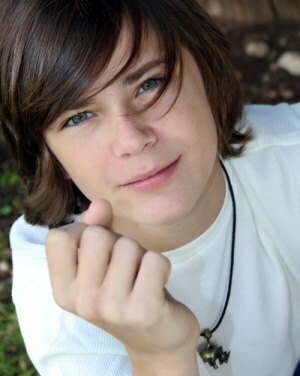 He is truly a special young man with an extraordinary talent, and you can be sure he will be around for years to come! Abraham just released his new album titled “Who I Am” this past November. While I personally wish Abraham would create an album with more songs in English apparently Sony Spain is happy with the way things are. Regardless, I especially enjoy the Spanish flare in his music which adds that special touch that no other form or genre of music can. Congrats and Happy New Year Abraham! Abraham also has a brand new site dedicated to his new project “Who I Am The FILM” CHECK IT OUT! 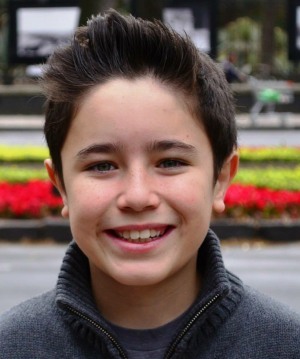 Sebastian Urdiales is the newest little star featured here on Rivenmaster’s Place. He had an explosive article here which brought in visitors from every corner of the globe. He not only is an outstanding vocalist but a great performer and dancer as well as actor. Even though very young in his career, he is already starting to make big waves in the media with his new covers and duets getting shared by some major promotional players on the web. While he has yet to have a professional Music Video created for him he has many videos on his YouTube Channel that demonstrates his amazing vocal and performing talent. Congratulations Sebastian for all your recent success and for expanding your fan base this past year! Best of Success in 2015. Sebastian just shared his latest duet recorded with Sarah Silva entitled “Confieso”. I’m not sure what the new year will bring by way of new talent but you can be sure this site will be on top of it offering all the help we can to promote and spread the word about them. To all these amazingly beautiful and talented young performers I wish you a very HAPPY NEW YEAR and to all the great supporters of this site I offer my sincere thanks and cordial wishes for a prosperous and healthy 2015! I also want to remind you that none of this could be possible without your continued support of this website. During the months of January – March we again start up our campaign to raise funds to help with the continued free support, advise, advertisement, free publicity, and even some web creations for many of these youngsters. This site continues to support through donations and the purchase of these struggling young musicians, dancers, vocalists, and actors CD’s and Film projects. The only way we can do this is with your help! 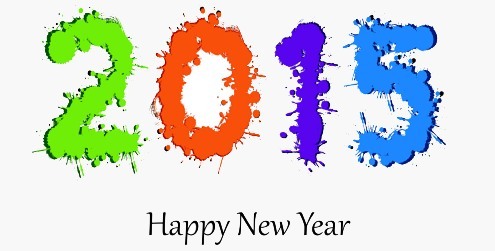 God bless all of you and once again HAPPY 2015!